Sakai Hōitsu adopted Sakai Ōho as his disciple and artistic heir. During Ōho’s brief life, he studied painting and literature with the learned Hōitsu and faithfully followed the elder artist’s style. 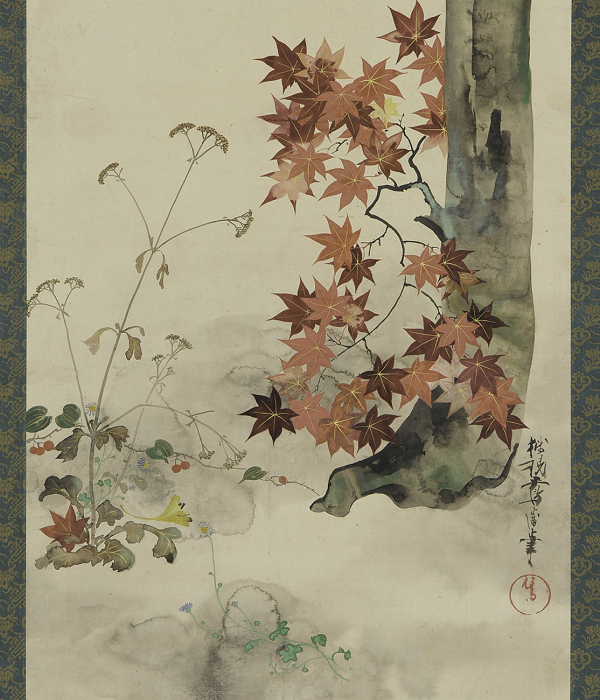 However, this colorful painting of a Japanese maple ablaze with autumn color features delicate details, such as the plants growing beside the tree, which express Ōho’s individual interpretation of the Rinpa tradition.